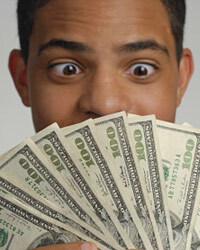 There are few scenarios that justify the expense of a quick cash advance. These loans typically come with high interest rates and other financing costs that make them very predatory in nature. However, if you have extended all other options, the loans may make sense temporarily. If you will default on a loan without an immediate payment, you may consider a cash advance. You should realize, however, you are just exchanging one form of debt for another. This means you will typically end up owing more in the end. Only pay off one loan with another if you can guaranty you will change your spending habits enough to cover the loan payment in full next month. Otherwise, you will enter a cycle of debt that will cost you a tremendous amount of money and stress. An eviction can be as detrimental as a default, especially if you do not have a temporary residence to live in while you find a new home. Using a cash advance to make an emergency rent payment should only be considered as an option of last resort on a very short term basis. Doing this for two or more subsequent months will result in detrimental fees and debt payments.